You’re woken by the rooster at the break of dawn, enjoy the sunrise and go for a walk listening to the birds singing and a pleasant earthy smell in the air… This #TBT we want you to reminisce life in the countryside. 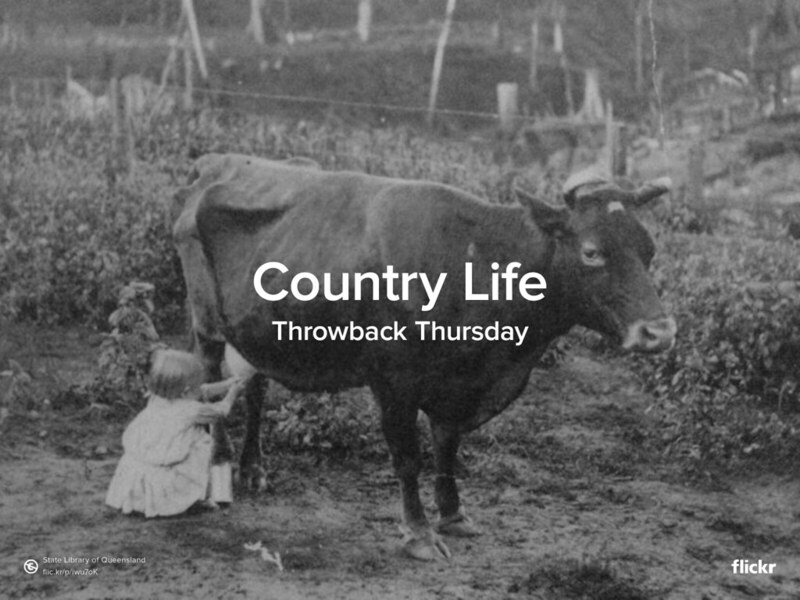 Share your best #Countrylife photo with us by uploading it to your Flickr account and sharing the URL in the comment section of our Facebook or Twitter posts. We will curate our favorites and show them in the Flickr blog next week. Original photo by the State Library of Queensland.